GridLock; dual purpose Vascular Access Port. With the increasing length of infusion studies, sometimes the need for improved needle security has become more crucial. To meet this need the new V-A-P, a Dual Purpose Port, has been designed: the Gridlock™. 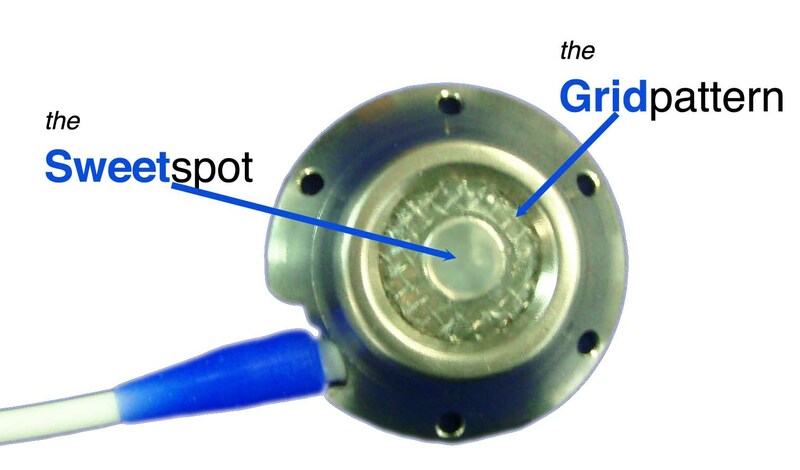 The design of the dual grid molded septum of the Gridlock promotes security against accidental dislodgement when the needle is inserted into the perimeter grid. The huber needle binds between the upper and lower grids creating high resistance against inadvertent needle withdrawal. While the Sweetspot in the center grants easy access for standard infusion and withdrawal. The Gridlock can be equipped with a number of catheters.